It’s an incredible irony that many growing businesses spend so much of their budget, time and energy on sourcing new customers, but don’t realise the opportunities available by looking after the needs of their existing customers. Statistics clearly show over the lifespan of your business, repeat consumers are one of your most valuable assets, offering you the highest return for your marketing dollar. The average online business devotes more than 80% of their marketing budget to customer acquisition, with less than 20% allocated to existing client retention. 40% of turnover from the average online business is created by repeat business, which represents only 8% of total visitors. When it comes to revenue generation, 1 repeat consumer is worth the equivalent of 5 to 7 new shoppers! They have higher conversion rates, spend larger amounts per purchase and return more often. Yes, you’re busy. As part of the general nature of what it takes to be successful, entrepreneurs and business owners can become very busy doing tasks, indirectly distancing them from the outcomes they need to achieve which ends up creating a ‘conflict of interest’. It’s easy to develop habits driven by the ‘squeaky wheels’ in your business and end up feeling like you don’t have time for the visionary, game changing, strategic aspects due to operational urgencies. Firstly, you’re right; there is a better way. Believe it or not, the hardest part is taking the first step and committing to the ‘better’ way, until you develop the ‘new’ habit. The great news is that it’s not necessarily about doing more. It is all about doing things better. Smart business operators understand the importance of embracing technology and employing innovative business strategies. 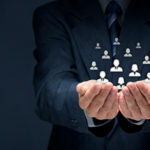 In a noisy, crowded marketplace where many consumers struggle to connect with companies or develop genuine relationships, businesses which place importance on ongoing customer engagement, stand out. Many businesses understand the benefits of Email Marketing, however not many understand the benefits of Marketing Automation. Email Marketing is largely a one-directional dissemination of information. To be blunt, it is an impersonalised blast-out of bulk information that may or may not be relevant to the recipient customer at their particular stage of the consumer lifecycle. Marketing Automation, on the other hand, is a system which provides each one of your customers with a personalized experience. It tracks their progress through the continually evolving journey of interactions with your company, notifying you of important engagement opportunities. Regardless of the product or service you deliver, consumers will float in and out of ‘purchase mentality’ a predictable number of times throughout the year. Have you ever paused to consider what it’s costing your business annually to consistently miss these windows of opportunity? Automation enables you to look after the customers while in this purchase mentality and nurture prospects still to reach this stage, allowing email to become a powerful marketing tool. Clever marketing focuses around your customer’s behaviours. The days of blanket campaigns, scheduled around a company’s seasonal strategies are gone. Effective engagement now requires responsiveness and to maintain a personal touch as your company grows; scaling up your customer engagement without costing your business excessive resources or time. This is where a Customer Relationship Management (CRM) system is essential. Organise your contacts based on purchase history, sales cycles, link clicks and email opens; because not all customers are created equal. Customise communication with automated follow up campaigns. Integrate with your website, with customised web forms and landing pages. Help your sales team to identify hot leads faster and prioritise their activities. Measure what’s working with tracking and reporting. If you have gaps in your process, it doesn’t matter how you justify it – it is costing you money. Simple as that. In a marketplace that is loud and fast-moving, consumer loyalty is a prize you’ll have to fight for. Business owners will often claim their customers are their greatest asset. If this is genuinely true, then your marketing strategy and your CRM system has to serve your customers and their need for genuine engagement. We are passionate about working with business owners and entrepreneurs who acknowledge the value of their time, are looking for opportunities to operate at a higher level and employ practices that deliver game-changing results. If you would like to discuss how your current digital sales and marketing strategies can be improved, we look forward to hearing from you.